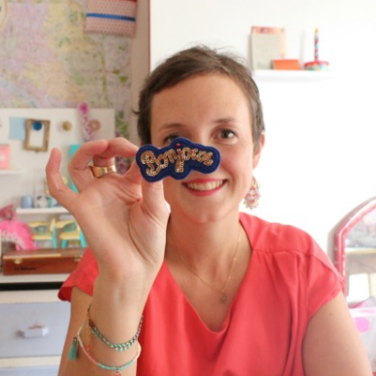 Marie Maglaque Blog: 4 easy craft projects for Halloween! perfect for kids & adult alike. I am completely in the Halloween mood, my home is almost finished decorating and my kids are super excited about the whole thing: they will celebrate Halloween at school with dress up and parties, and we will also be doing trick or threat in the streets near our home on the 31st of October! I still have to plan for their costumes though, we will have a vampire and a Michael Jackson (!!) this year (last year it was a witch and a super-hero). I have made a selection of very inspiring and easy projects for you to work on if you are feeling a bit crafty in the coming days. Click on the link under the pictures for explanation and the source of each project. found on Sally J Shim's blog. 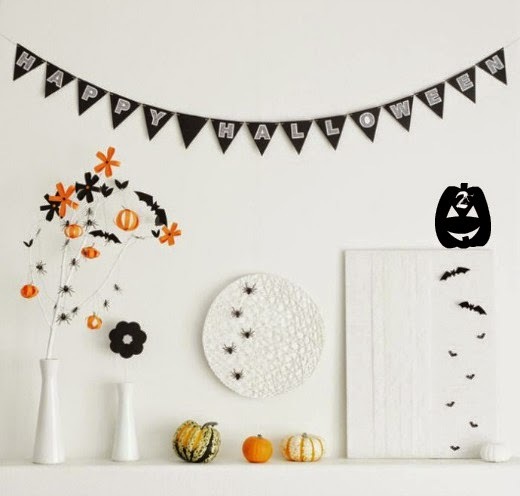 I would craft the "Happy Halloween" banner with black paper and you can print the letter that you need with your printer, then cut and glue them on top of each triangle. 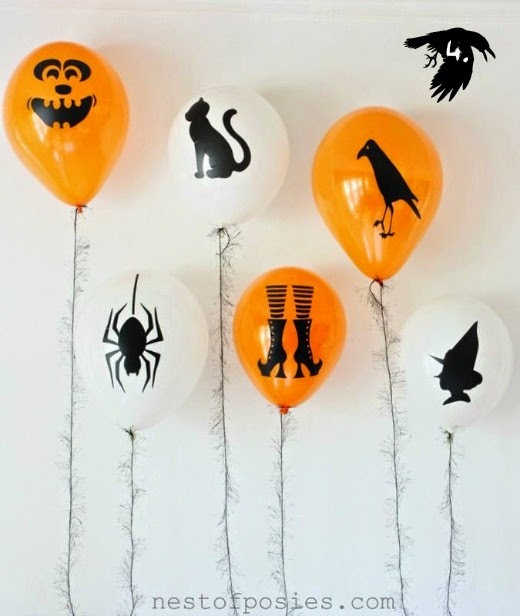 If you aren't confident to draw other shapes (such as bats, cats, pumpkins etc...) on paper, you can search on the internet for templates to print (click here), then use them to cut as many shapes as you need to create garlands (project #3 below), place card holders, wall decoration or glue on balloons (project #4 below). The silhouettes on the balloons below are cut on vinyl before being applied on each balloon. 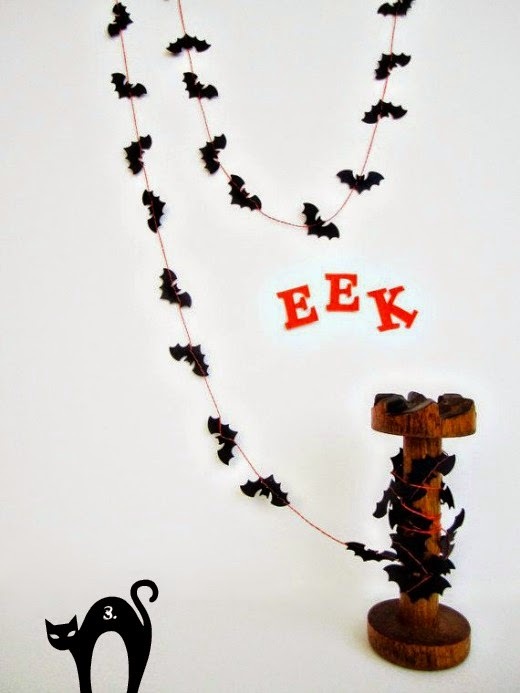 Very fun way to decorate the entrance or a wall. 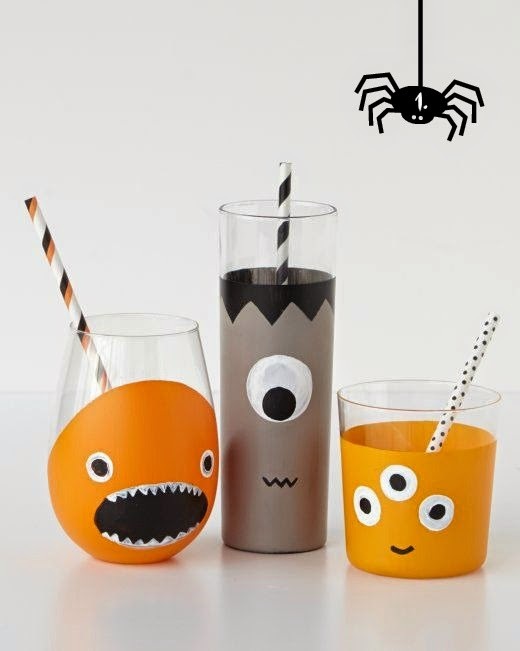 Are you celebrating Halloween in your part of the world? How do you decorate your house? 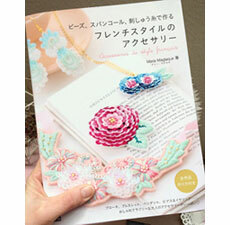 Japanese translation by Nao Lincoln.